According to Dutch research institute TNO, the safety level of the Stint is not sufficient for passenger and freight transport. A study conducted by TNO presents risks for the safety of the driver and passengers of the Stint. 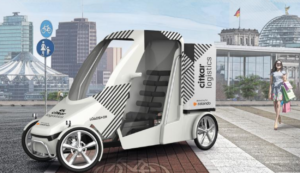 In cooperation with startup, citkar, this October Zalando is testing an alternative to traditional parcel delivery in Berlin with the Loadster e-bike. 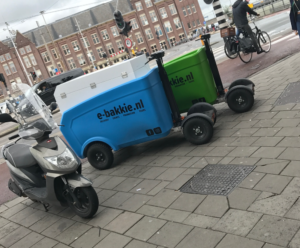 The Space-saving, fast and efficient Loadster, a 500-liter freight e-bike, brings parcel delivery off the road and onto the cycle path. 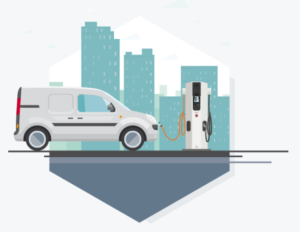 CityFreighter is a clean-tech startup with team members in the US, Europe, and Asia. 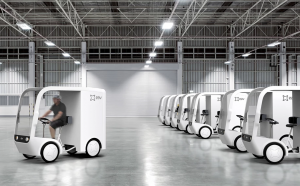 They are developing smart, light-duty commercial electric vehicles for the last mile combined with intelligent front- and back-end integration with their customers’ value chains to meet the needs and challenges of urban logistics in the future. 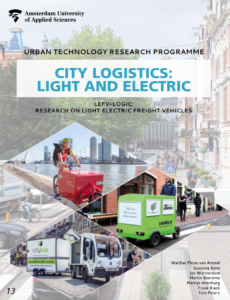 City logistics: light and electric? 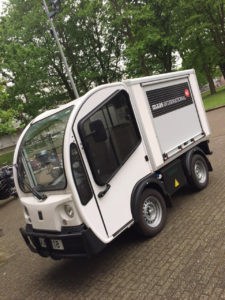 To increase the benefits of a UCC in city logistics, the delivery to the final customers from the UCC can be done using light electric freight vehicles. These LEFV provide numerous operational benefits due to their smaller size while being more sustainable than regular light commercial vans.